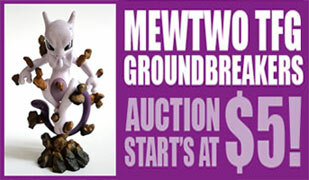 And finally, do you remember my mewtwo groundbreakers tfg auction?? well, after more than three months the winner never paid :( so i'll reauction it this saturday. please send payments to denkimouse (at) gmail.com. make the subject Poster GA with your username to help me out. i am still missing almost 30 payments for pokemon time plush shipping. good news everyone! 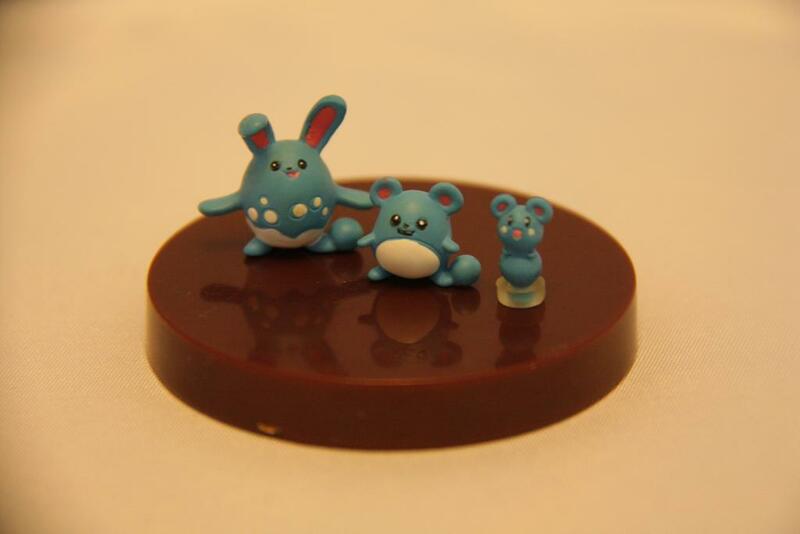 i go home thursday and will try to have 100% of all non-combined poketime orders off to you lovely folks by monday! let's trying hard! but you gots to pay shipping first! probably will be my last post to the comm before i head home, unless some major news makes me eat those words. i wish! see you back in japan comrades! 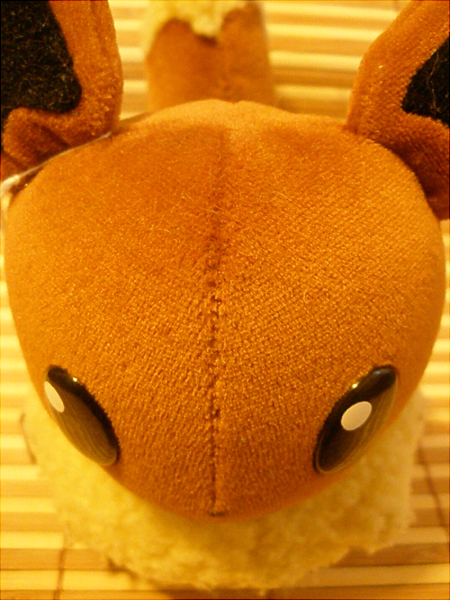 i promise pics of the 400+ takara tomy eevees! until then, have some memory lane about the other two major eevee invasions i've had so far. Does anyone know how much common pokedoll charms sell for? I have heard rare ones go for $20 but I was hoping to get them if im allowed for a lot cheaper! Im not commiting to buying anything but just wanted to know. 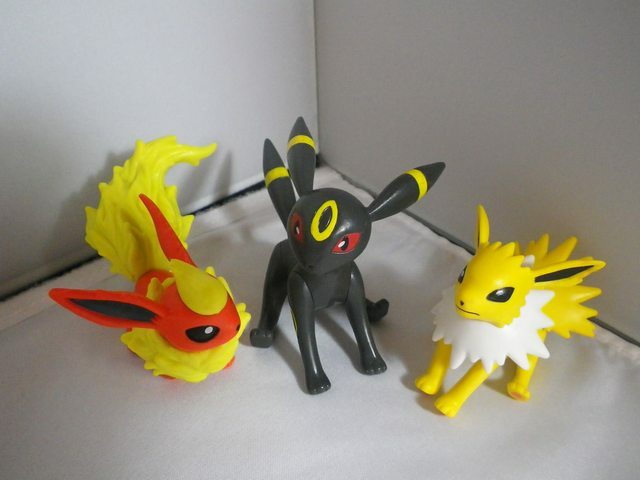 Also how long have there been pokedoll bootlegs on ebay? I bought two plush in 2009 or around then and wanted to know if they were legit without them labelling it 'legit'. New here to pokemon collector’s . Love this site been getting some awesome pokemon stuff from some of your great members. I’m actually new to pokemon really never collected the cards when they were popular in school (or watched the show please don't kill me ) and just recently when my girlfriend got me the game Pokemon Black (she’s a pearl fan something about poffins and contests) been playing the game. I see why it’s so awesome favorite pokemon Flareon. Her whole family collects and they’re eevolution fans Vaporeon, Jolteon, Leafeon, and Eevee fans. I’m barely getting started but since Christmas is around the corner, time to buy the GF and in laws presents ! Hoothoot it's the sound of da police! And with all that aside... Regular sales! 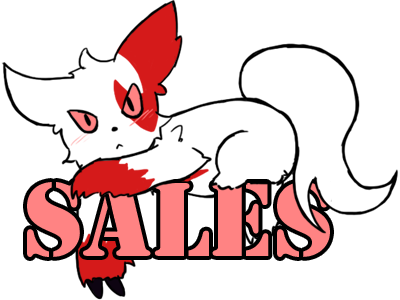 My sales page is finally up and ready, so please feel free to check it out. I'll gladly combine shipping between sales items and any auction or group buy items, as well. Hey everyone. I have a simple want today. I really want to get more clearfiles, I love them since they're nice to look at and can be stored easily. I'm a massive fan of anything that can be used to look at decent art. I have a few so far and looking to expand.. I'm pretty poor atm so i have a few things i can trade or i can work out prices for when i get paid, whatever is good..
Hi all! Long time no post... I've been so stinking busy with y new job and school D= But anyway, I wanted to share some N themed gets with you all! 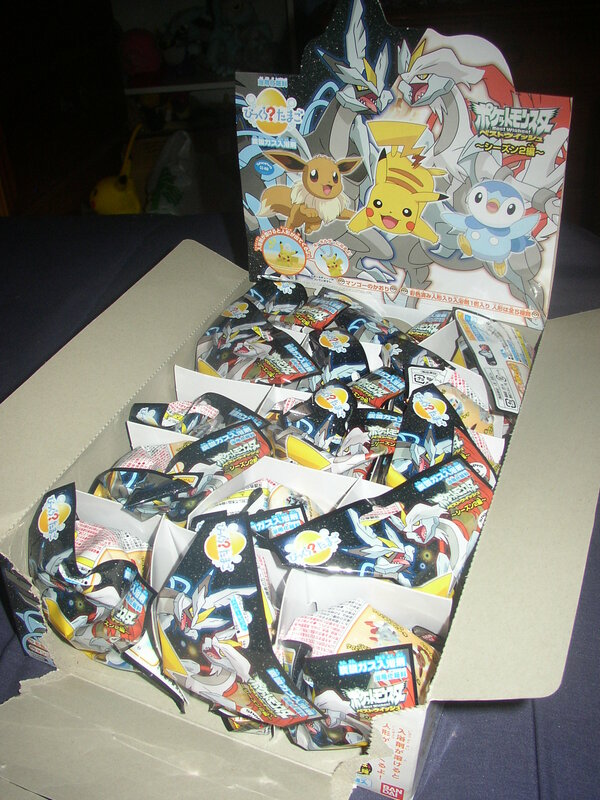 Anyway I'm still looking for pokedoll tags! I want to have a whole binder full of them!! Just lemmie know which pokemon you have and we can talk. Thanks! Pokemon Plastic Model Kits- Assemble! Hey there everyone, it's been forever since I've posted but I just got back from a trip to New York last week and got some awesome stuff and want to buy a load more, it seems. Me and my husband went to NYCC for our honeymoon this last weekend, and we got a plastic pokemon model kit by BanDai which was super exciting. Enjoy some nice picture of it after the cut! Otherwise, we are looking for more if anyone has any they want to part with or know of some good leads for getting them. We are looking for Typhlosion specifically, and maybe Zekrom/Reshiram. Just let us know what you have/willing to sell/have seen. If you don't have any sources I'd appreciate it if you would share any experiences with the kits you've had/favorite ones you have assembled/or if you just let them hang out in the box and get valuable! A Teensy Update and a Question, but Not in that Order! 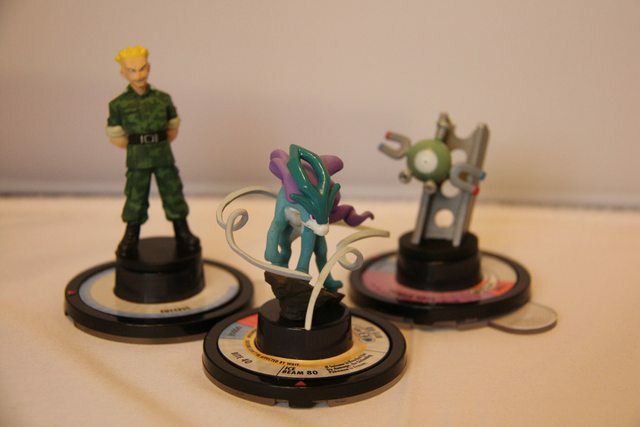 What's the best way to find out about all of the merchandise for a single pokemon, or what pokemon were made for a line of merchandise? Is it just relentless searching of ebay, amazon, yahoo, and more? I find that googling "(pokemon name) merchandise" gives me a few results via images (web search tends to give me information pages like Bulbapedia), but it only gets me so far! Anyways, I have just two more things to add to my general collection I forgot about last time, and a little update on one of the plushies you may have already seen. Reminder for Eeveelutions and TFGs auction! Auction end at Thursday, 25th October at 9:00 pm (GMT+8), which is about 24 hours later! It's about Thursday morning (9am for GMT-8) in the US timezone. So my question, what do you guys think this mysterious vee is? I will try my very best to keep this introduction short. :'| GOOD FIRST IMPRESSION, GO! To start, I am a 21-year-old girl living in (French) Québec, Canada. C: I first experienced Pokemon in my childhood. I used to watch the show when I was little, and my very first Pokemon game was Pokemon Yellow, with my GameBoy Color. Sad story, that same Pokemon Yellow cartridge died some months ago. :[ I found another one though, thankfully! I like using a lot of smileys and SOMETIMES CAPS FOR AMUSING EMPHASIS. :'D But I assure you I am not immature or annoying (maybe). I am actually very timid and I will most likely lurk and just check for sales posts. x'D Spend all the money. Like I said earlier, my goal is to learn about collecting, in general and as a hobby. 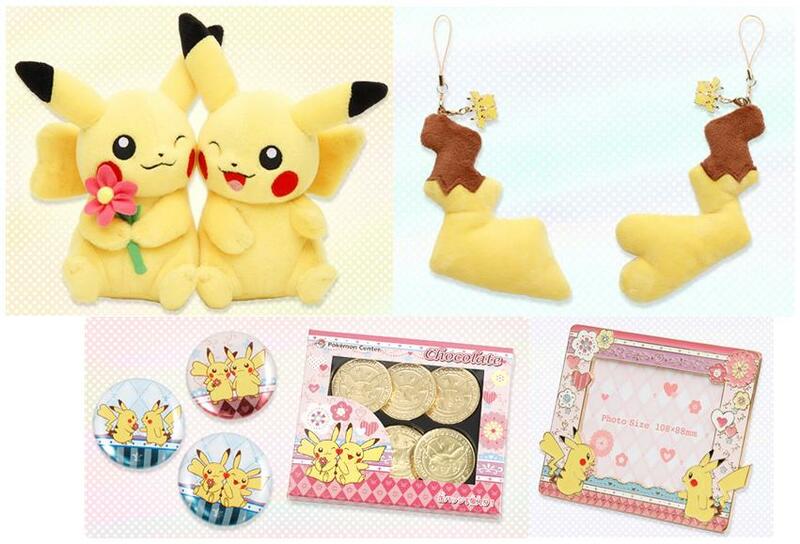 I personally LOVE the Pokemon plush toys and they are the merchandise I buy the most. Only very recently have I diverged into keychains and figurines as well, but plush toys are still my major want. So... I understand people here like pictures. :'U I took pictures especially for this post. Of some of the things I have. My room is a complete MESS, and I feel like I have so many things that I couldn't snap a picture of everything I have. x'D So I took pictures of the most available things I had right now. I hope that'll be enough for now! Maybe this will motivate me to continue fixing my room to put up everything I do have in terms of Poke-merch. OKAY IS THIS LONG ENOUGH? OKAY PICTURES NOW. Hopefully, I will be motivated to fix my room and put up my little newbie collection up better, instead of scrambled pictures. This isn't all that I have, I actually have few more handful of plush everywhere. 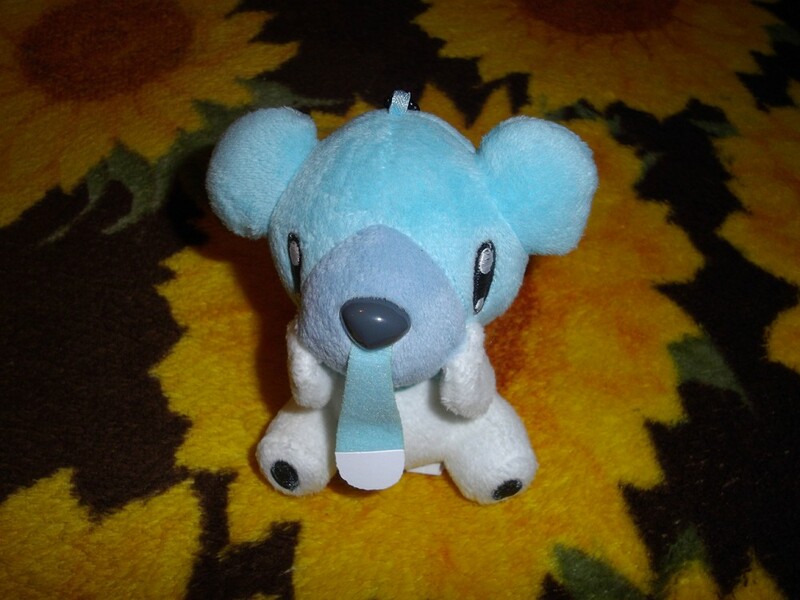 If I keep searching, I might just end up finding my old 1999 Pokemon plush. I remember having Charizard, Eevee, Jigglypuff, Bulbasaur, Psyduck, and Meowth. 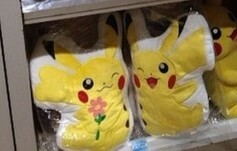 :3 I also remember having HUGE pillow-friends sort of plushies of Pikachu and Charmander. They're very old though, and they moved between our duplex and our house since they were storage items — I'm not sure where they are now. :[ Maybe I'll find them again, though! That said, I'm very happy to be here. <3 I hope to learn more about collecting and getting a better eye for bootlegs and fake merchandise. I'm very eager to learn. And finally, to close this... I'm happy to meet you guys, and I'm excited to hang out! EDIT 25/10/12: Thank you so much for everyone's warm welcomes and even HELP with my questions above! <3 I'm even more happy and excited to be here. C: I've loved all your stories and discussions about collecting, and now I'm even more excited to dwell into the topic and hobby more. Also, I would like to thank PikaFreakRachel for reminding me we only live once. And for ultimately being the one convincing argument I needed to break and buy myself the cutest talky Oshawott plush ever made. My wallet doesn't thank you, though (but it will surely forgive you). Oh my Gawd, I am so excited to receive it. This is the only thing I HATE about buying online. The waaaaaaait. 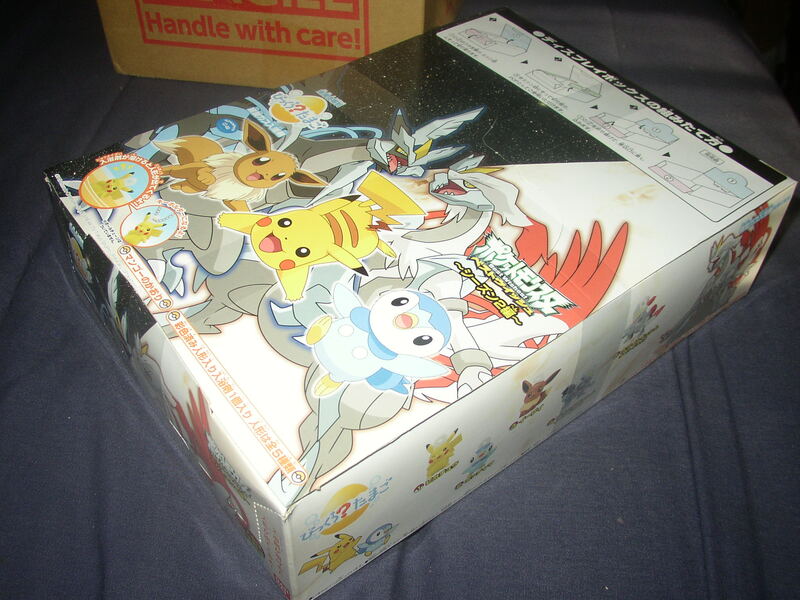 ;3; I think I'll jump on the unboxing bandwagon and record it when I unbox it once it gets here. x'D I haven't a talky plush since the old talky Pikachu, so homg. I can't wait to get it. Hey guys. I'm just posting a little wants post for the night. I'm hoping to do a collection update after I get settled in and the Eevee hoard passes. Anyone else really excited? What excites you most about it? 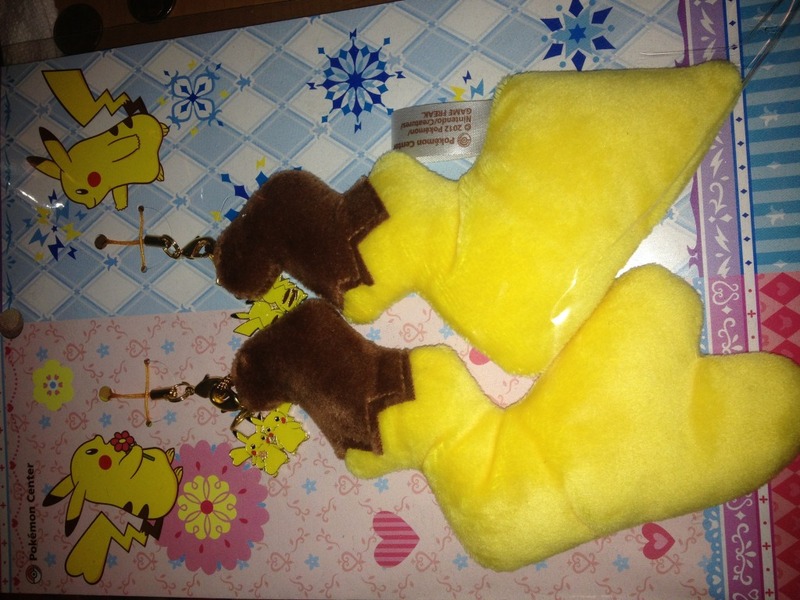 Pika Pair tail charms, frame, and cushions! My biggest is the Cushions. Thanks for looking! Recently I have come into possession of a card I've needed for quite some time now for my Eeveelution Collection, and I am so happy to finally have it! I actually got another card that I didn't even know I needed :P. I didn't even know of it's existence until just a couple weeks ago lol some Eevee collector I am. The two cards I received were the English Umbreon* and Regionals 2012-2013 Jolteon promo! Ok, I had recently received my soap figure box I've ordered back in September last week (This is my first time ordering a box/case of anything). I got the figures I wanted, and even had some extra figures & NIP bath salt balls left over as well. And I've been meaning to make a post about these sooner, but of course personal issues arose and halted everything. So now I have some pics to share with everybody on the comm. Anyways, here's the photos! The sealed soap/salt figure box! The individual packs (there's 15 of them in all).